This is one of my favourite styles. It is simple, sleek and just plain cool. It has diamonds set all the way round the band at intervals. 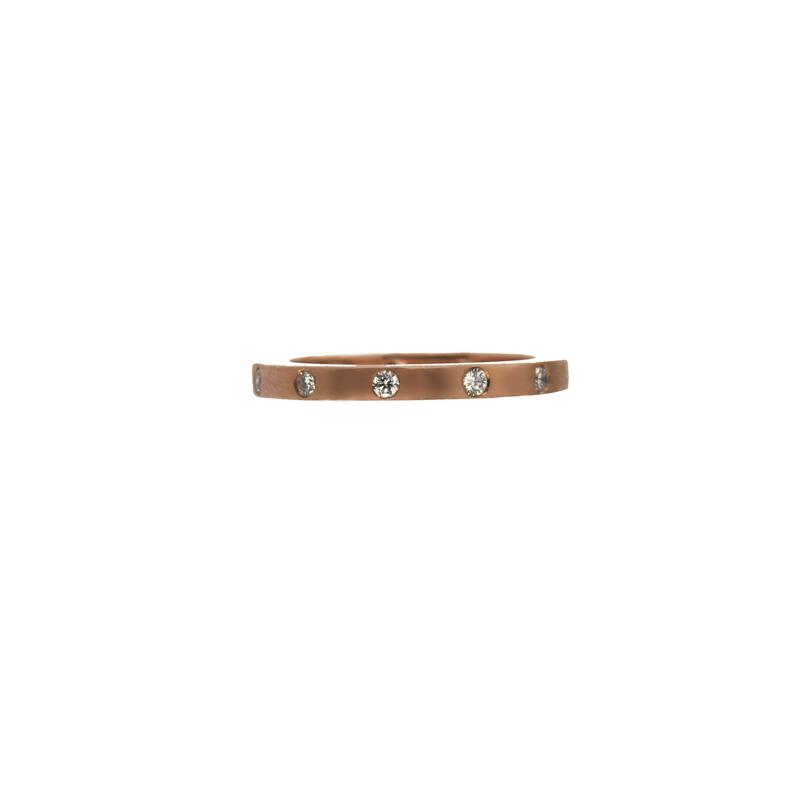 This ring is available in 9ct rose, 9ct yellow and 9ct white gold. the diamonds are 1.8mm in size, VVS 1 in clarity and F in color. Quality diamonds. We can make this ring to the size you want. Please choose the size from the drop down menu. This item can be custom made in 5-10 working days. Let us know if you need it by a certain when going through the checkout. If you do not know the ring size you need we can help by sending you a complementary ring sizer or ring mandrel. We would love to make another of these. You can also wear these in a stack. so purchase one or three to wear together. Devine! !